In the world of luxury watch-making, Hublot remains a relatively new name, with the company having been founded in Nyon, Switzerland back in 1980. Nevertheless, the brand has quickly become established as one of the big names in the industry, due in large part to its 'Art of Fusion' concept and a propensity to break from convention. 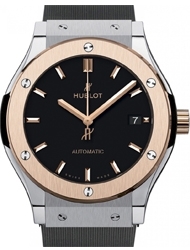 The fusion concept that is so strongly associated with Hublot can be traced all the way back to the manufacturer's origins, although it has been re-emphasised since 2004, when Jean-Claude Biver became CEO. It can be broadly defined as the combination of innovation, modern design concepts and traditional Swiss watch-making techniques. In 1976, Carlo Crocco left Binda Group in order to start his own company. 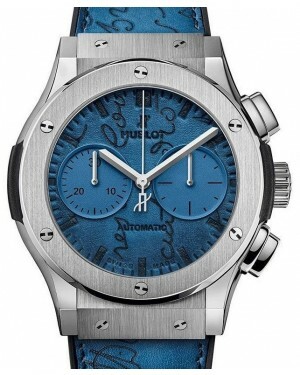 His first watch was named 'Hublot', which is French for 'porthole', and was notable for being the first wristwatch in history to combine a gold case with a natural rubber strap. It had a plain black dial, with no dial markers, and multiple screws on the bezel. The model was unveiled at the 1980 Basel Watch Fair, but failed to attract a single potential customer on its launch day. 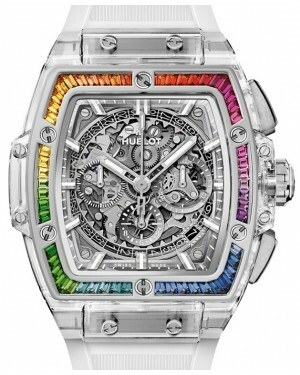 Nevertheless, the timepiece soon attracted mainstream attention, due to its unconventional design, and ended up a commercial success, with sales of the watch reaching $2 million by the end of its first year. In the years that followed, the company released a number of Limited Series collections, as well as the Hublot Elegance, which was similar to the Hublot Classic, but had no screws on the bezel and featured dial markers. 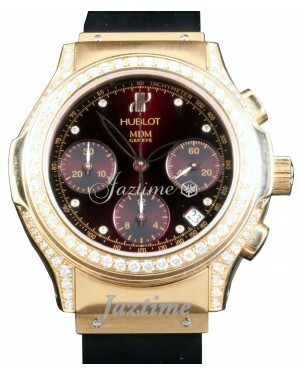 Throughout the 1990s, Hublot timepieces became popular with a host of celebrities and even royalty. Soon after the turn of the new millennium, Crocco began to look for someone else to oversee his watch-making business, due to his various other commitments. The man eventually chosen was Jean-Claude Biver, who was appointed CEO in 2004. One of Biver's first acts was to try to establish a new flagship collection. 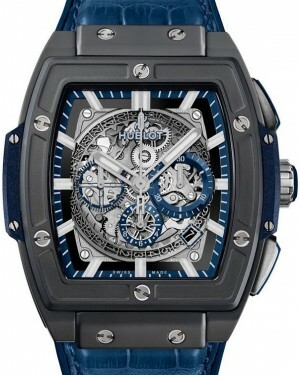 The Big Bang collection was launched in Basel in 2005 and was an immediate hit, picking up multiple prestigious awards in its first year and achieving excellent sales figures. 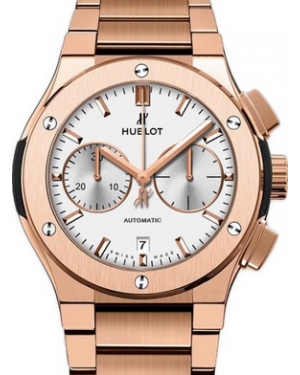 It has since evolved into an extremely diverse collection, which perfectly encapsulates the Hublot fusion concept and caters to both men and women. 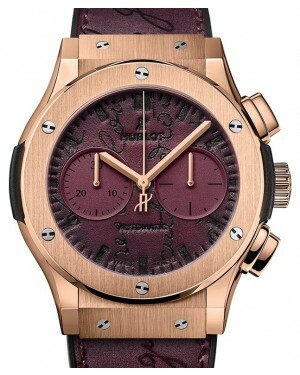 In 2011, the manufacturer released two of its most complicated models to date - the MP Key of Time and the Tribute to Antikythera. The former allows its wearer to speed up or slow down the movement of time, while the latter is part calendar watch, part astronomical watch and was released in extremely limited numbers. 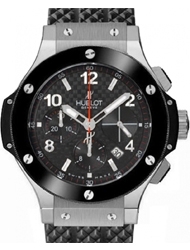 Over the course of the past few years, Hublot have further enhanced the value of their brand through intelligent sponsorship deals. Among other things, the manufacturer sponsored the 2014 FIFA World Cup, the LA Lakers and Miami Heat NBA teams, and the automobile manufacturer Ferrari. The deal with Ferrari led to the development of the MP-05 LaFerrari watch back in 2012, and this model was notable for the inclusion of a revolutionary 50-hour power reserve. 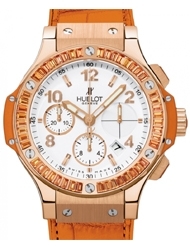 In 2011, Hublot also broke new ground in terms of watch materials, with the introduction of its 18k 'Magic Gold' - a 18k gold and ceramic alloy, which is able to provide the look and feel of gold, combined with the scratch resistant properties of ceramic. 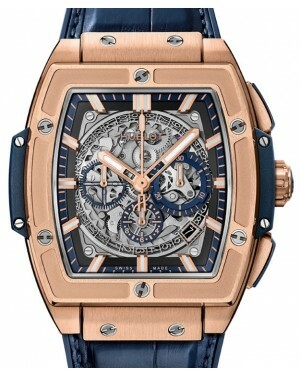 This material is now available on a number of models, including the Big Bang Unico King. 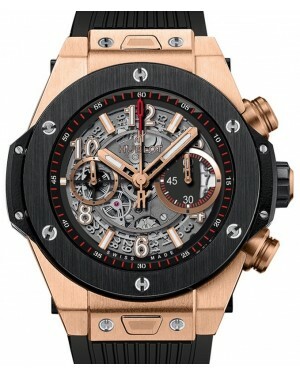 Initially released in 2005, the Hublot Big Bang has emerged as one of the brand's most iconic and popular lines, thanks to the manufacturer's ability to fuse contrasting materials and elements into a coherent collection. 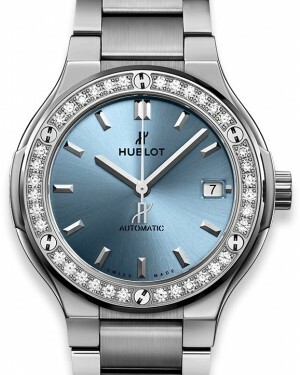 From a pure design perspective, the watches retain the trademark Hublot 'porthole' look, but with a range of different aesthetics. For instance, the 'Pop Art' and 'Tutti Frutti' models are extremely bright and colourful, attracting instant attention, while the 'Ferrari' and 'Jeans' models are much more casual, without sacrificing style. 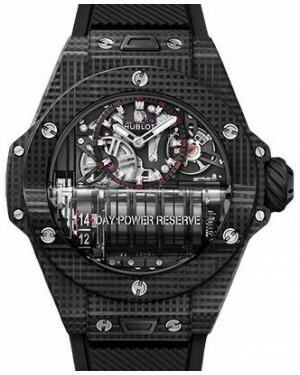 Big Bang watches are available with case sizes ranging from 38mm to 48mm and come with a variety of complications. 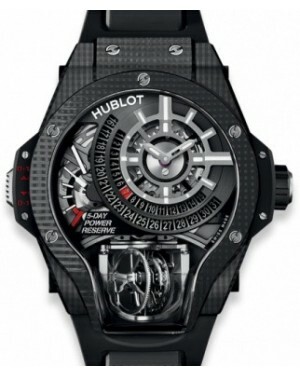 The Hublot Big Bang collection has made a huge impact since arriving on the scene, picking up a string of awards, including a design prize at the Geneva Watchmaking Grand Prix. Combining Hublot's core design principles with extra toughness, the King Power collection contains extremely robust luxury timepieces, which stand out from the crowd. The watches in the collection have a very large 48mm case size, making them an ideal purchase for those looking to make a bold statement, while the layered design and high-class materials, which range from ceramic to titanium, provide real brawn. Each timepiece offers excellent water resistance for up to 300 feet below the surface and the King Power collection is also powered by the Unico movement, manufactured and developed in-house over a period of four years, ensuring excellent precision. 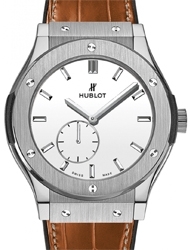 Introduced in 2011, the Hublot MP (Masterpiece) Collection is a series of rare and extraordinary timepieces, which focus on grand complications and ground-breaking design. 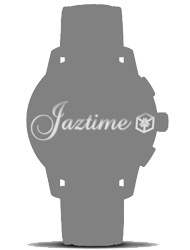 All of the watches in this collection are large and come in varied styles. 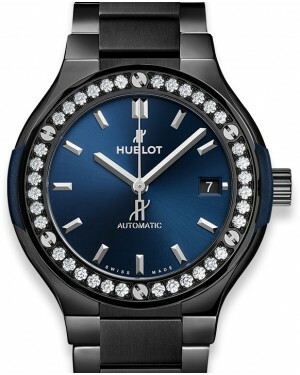 For example, the MP-01 is a barrel-shaped titanium watch, with a 10-day power reserve, while the MP-02, dubbed 'the Key of Time', has a futuristic shape and allows wearers to adjust the time display to 1/4x speed or 4x speed. The MP-05 'LaFerrari' set a new world record with its staggering 50-day power reserve, while the MP-08 is a calendar watch, with astrological elements, which embraces Ancient Greek design concepts. 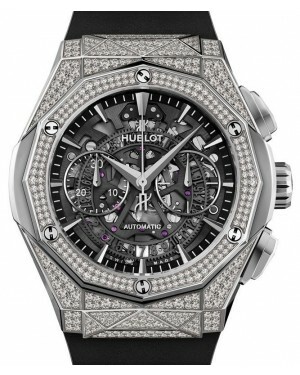 Created by a small team that specialises in highly advanced watch-making technology, the timepieces in the Hublot MP Collection are truly remarkable and have been released in limited numbers, making them extremely rare.